Inmotion Hosting Review  - Why FAR from Perfect? InMotion Hosting is an employee-owned and operated domain name and web hosting company with offices in Virginia and California. Since 2001 they have amassed over 300,000 customer domains providing hosting services on Linux and Unix servers. I have a lot of clients who put me in charge of their websites. I do stuff like setting up websites, basic troubleshooting and pointing them to the right direction if the issue is bigger than me. I always liked this company, because we had very few problems with them. Since they have introduced SSDs, it’s been getting even better. At the bottom of this page, I have included a link to a special deal with nice savings if you decide it’s for you. But I’m getting ahead of myself. Let’s start at the beginning. If you are in the market for a reasonably-priced web hosting package which offers a ton of great features, especially for WordPress, then IMH is one that you want to consider. InMotion is a strong brand with a solid reputation, and they have gone out of their way to make customer onboarding easy. Let’s take a look at some quick facts, and then we’ll delve into the details! Now let’s take a closer look at the plans, features, benefits, and drawbacks! You know you’re doing something right when you’re one of the most awarded businesses in your industry – but InMotion doesn’t let it get to their head too much. Recognized as one of the real deal web hosting companies in the entire world, InMotion is still too busy pushing the envelopes of technology, service, and customer support to notice things like accolades – although they definitely appreciate them. Far more interested in making certain that their customers and users experience incredible results and have the easiest time getting and keeping their websites up and running, you would be hard-pressed to find a better solution for budget web hosting than the one offered by InMotion. Founded in 2001, Inmotion Hosting quickly became one of the industries first real giants. People flocked to the service then for the same reasons that they do now – InMotion always has great technology, support teams, and IT guys that money can buy, all available in two different options at incredibly consumer-friendly rates. InMotion has a convenient onboarding process built into the support center, making it easy to find answers on your own to common questions. You search through the database based on what you are trying to accomplish (the end goal, not just the intermediary task). No, it’s not your usual FAQ. It’s a new and innovative way to help customers (you) find the information you are looking for. What if you need help from an actual agent? Here is where there are a lot of conflicting views. I have seen a lot of outstanding reviews for the phone and live chat as well as the email ticketing system. But I have also seen a lot of poor reviews stating that it can be hard to get a hold of an agent, especially a manager, and sometimes the answers they give are unhelpful. It seems that depending on who you get you can either have an outstanding experience or a terrible one. For the sake of this review I opened up live chat. I got connected literally within seconds, and someone called Nick answered. I asked Nick a simple question. He seemed briefly confused; for whatever reason, it took him about three or four minutes to address my question. But when he did, he provided a complete and to-the-point answer. He didn’t try to hard-sell me on services, which was appreciated. All in all, I got a good impression from the conversation. I have forgotten to take a screenshot for you all, so I went back and opened live chat again. This time, I was number 16 in the queue. Amazing? No, but solid enough. With this web host, you shouldn’t face issues often anyway. Business Class Hardware – They don’t go cheap on their servers and tools. In exchange, you get better performance and less downtime. Regular Backups – This is where Inmotion is showing care for their customers. Too many hosting companies leave you without a backup solution. Max Speed Zone – Your site will be served by multiple Data centers, ensuring high speed by choosing the closest server to your geographic target. Green Data Center – It’s not all about business! They also try to care about their environment. You’ll enjoy unlimited storage in your online locker (used to be close to 100GB, usually way more than enough for anyone’s set up), as well as unlimited transfer plan (used to be 1 TB). While that sounds like a sweet deal (and believe me – it is!) you can even crank things up a bit higher by leaping into the business plan. Free SSD drives. That means you get the utmost in speed, performance, and reliability. You get a free domain name. It can either be a brand new domain or a transfer of an existing domain name. Free data backups. It is one of the most exciting features of InMotion! Most companies charge for this service, and quite a bit too! With InMotion, you are getting a fantastic free bonus. This adds to the value of the packages and justifies some of the higher costs. Single-click installation is included for more than 310 applications. You can code in a variety of languages including MySQL, Ruby, PHP, and PostgreSQL. You can easily integrate Google Apps using a simple three-step wizard. You get secure IMAP email which you can access using any device. Here is my resource usage on an account that has 8 sites on it. Inmotion Hosting takes a number of steps to ensure that you can look forward to superior speed and reliability, even when your site is getting heavy traffic. SSD technology: A lot of web hosts use hard disk drives (HDD) for their servers. Inmotion is different. This host uses solid-state drives (SSD) for every server. This type of drive doesn’t rely on mechanical parts in order to perform, which means you get to enjoy a major boost in speed and reliability. PHP 7: Tired of slow-loading WordPress pages? In comparison to PHP 5.x, PHP7.x can double or even triple WordPress site speed. Just making this switch can lead to a night-and-day difference in performance. Custom server caching: Another excellent feature for WordPress sites, Inmotion’s cache manager for cPanel provides you with a powerful suite of features to speed up page load times. Since the cache manager gives you full control over the caching process, you can optimize it to your site needs. Another advantage of Inmotion when it comes to speed has to do with how the host distributes server space. If you are on a shared plan, you will be using the same servers as other sites. But Inmotion takes care not to stretch its resources too thin. That way you are assured that you will have the processing power you need to maximize site speed and performance at all times. I know people have different skill levels in web hosting. That’s why simple solutions are essential for any web host. Inmotion delivers just that! You’ll find it a cinch to navigate through the Boldgrid website builder and get started. You begin by picking which type of site you want to create (a blog, a photo gallery, or a general-purpose website), and then you pick your themes and colors to establish the look and feel of the site. Next, you choose which pages you want to include. If at this point you want to start implementing eCommerce features, you can. 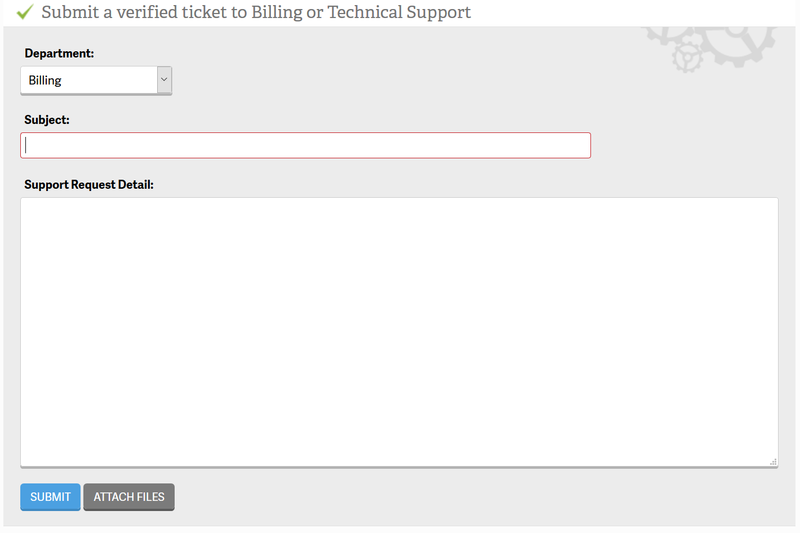 You can also begin to adding scripts and modules to your pages. You can try Boldgrid here. It’s built on top of WordPress, so it’s the best of both worlds. 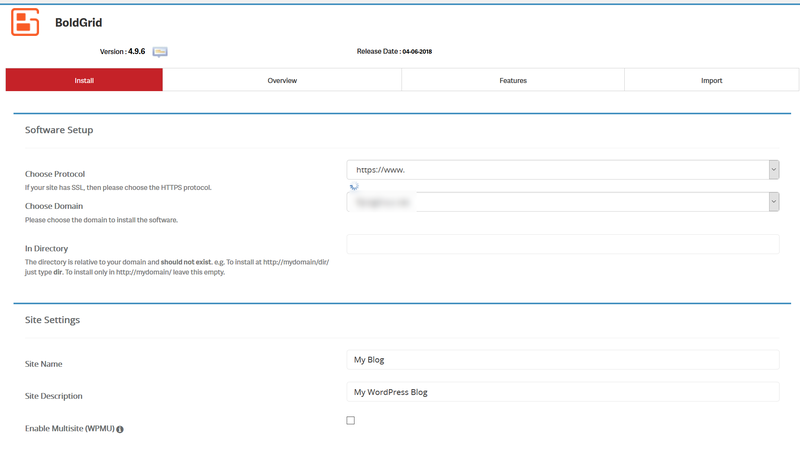 Setup works exactly like with WordPress. In case you need a quick primer, shared hosting is your basic, low-budget option in which you share a server with other websites. Dedicated hosting is where you rent a physical server and have it all to yourself. VPS hosting is an in-between option where you are sharing a physical server, but you have your virtual operating system, allowing you the same functionality as dedicated hosting. Reseller hosting allows you to use your allotted space to host third-party websites for a profit. Managed hosting is what you want if you are looking for professional assistance maintaining your site. For each type of hosting, there are different plans available. Launch: $7.99 per month.There are starting deals under $4/month if you hunt for them. Different deals are available at different times of year through various referrals. If you get a deal, it will be an introductory price only. After the introductory period expires, you will go back up to $7.99 per month. If these prices seem high, consider that they are long-term prices. The introductory offers tend to be slightly more expensive than comparable introductory rates offered by other hosts, but the long-term prices are right in line. Plans start off more expensive than some you may see offered by other hosting companies, but this is because they include more. The lowest-cost plan includes 4 GB of RAM and 75 GB of storage, along with 3 TB of bandwidth and 3 IP addresses. The highest-cost plan includes 8GB of RAM and 260 GB of storage, along with 6 TB of bandwidth and 5 IP addresses. Interestingly enough, the top-tier plan is a better value than comparable schemes I have seen offered by other hosts at a higher price. These plans are suitable if you are running a large commercial enterprise online and you absolutely need your own server. They are obviously quite expensive but in line with industry standards. Look for hefty discounts on these plans; InMotion often will take $50 or more off on your monthly introductory rate. Plans start at 80 GB and run as high as 160 GB. You get a free dedicated IP address with all of them. The R-1000S plan includes 800 GB/month of bandwidth, and the R-3000S gives you 1,600 GB/month. These are introductory prices, but the cost only goes up a few dollars per month on each of them after the introductory offer expires. All told, these are meager prices for the sheer abundance of features you end up getting, not to mention excellent expert support from a team that knows WP inside and out. The InMotion business plan offers unlimited everything – unlimited domains, unlimited databases, unlimited data and disc space as well as bandwidth – all for the incredibly low price of right around $7 a month. Seriously – $7 is affordable for just about every serious business owner in the world, and if you’re looking for a powerhouse of web hosting without incurring a too high price tag, then InMotion is the company that you need to spend the majority of your time researching. 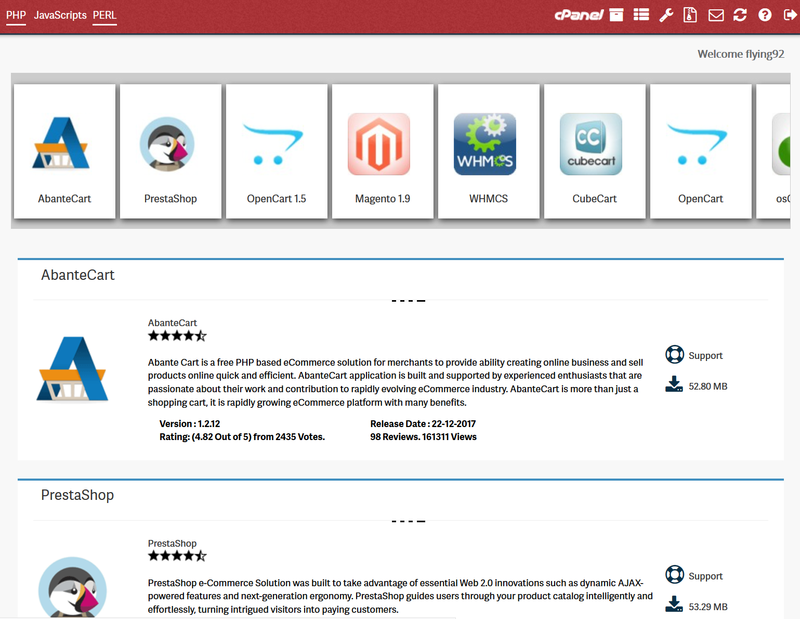 InMotion has a lot of built-in eCommerce features. With the Premium Web Builder, you can add an eShop page to your website, converting it into an online store where visitors can make purchases. Setting up the store is fast and easy, and functionality, on the whole, is excellent. One issue, however, is that you only have a few options for collecting payments. For that reason, you might want to download a plugin to upgrade your shop. That way you can take in payments through more methods and also benefit from better tracking. InMotion offers many useful security features, including a free Sucuri Security plugin for WordPress sites. This program can scan for adware, protecting your blog and keeping it safe for you and your visitors. You can also sign up for McAfee for your email account for a nominal fee ($1.39 per month). You have the option of buying SSL certificates if you need them; these come with a dedicated IP address. And so long as your account is less than 10 GB, you get to take advantage of those free remote backups mentioned earlier. But InMotion is not just a hit with the businessmen and businesswomen of the world – oh no, no. InMotion is favored by web techs and web professionals because of its level of flexibility compared to its incredible low rate. I speak from experience when I say few companies offer the level of service and professionalism that InMotion does, and as such, it becomes almost a no-brainer for anyone looking to build their next website to make sure you host it on InMotion. Inmotion Hosting had a 100%% uptime for the 30 days we monitored the site. That doesn’t need much explanation. 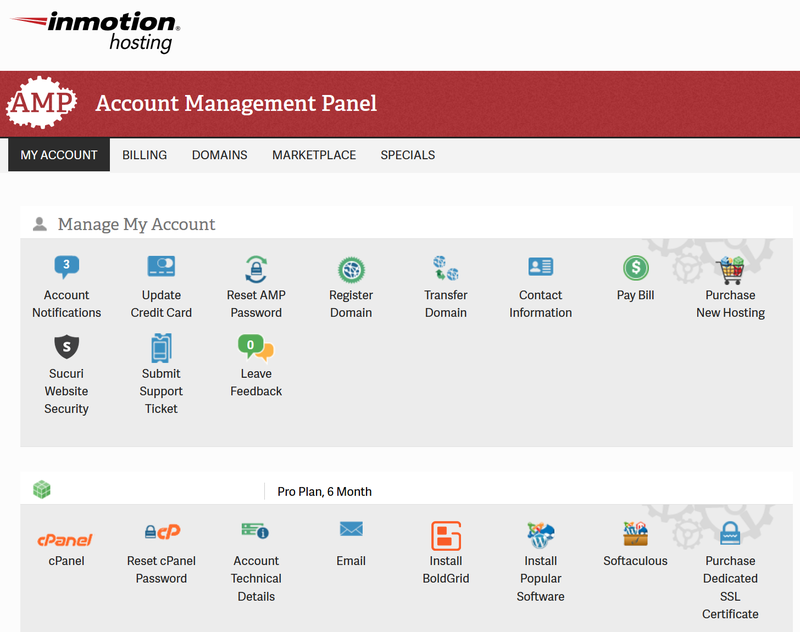 People around the world have been experiencing the incredible power of one of the world’s best web hosting platforms, and I can fully attest to the fact that InMotion is one of my favorite web hosting companies. InMotion stands by its services with a 100% satisfaction guarantee. If you are purchasing a VPS, dedicated or reseller hosting package on a month-to-month basis, you can get a refund within your first 30 days. If you are buying a shared business hosting plan, VPS plan, or reseller package with a six-month or longer term, then you get a 90-day full refund guarantee. Ninety days is a nice long time for a refund guarantee, so that gives you plenty of time to test out the service at no risk. Who is InMotion Hosting Best For? Lots of different types of hosting are available, with various tiers of service for each. Whatever your budget, you will find something that fits your needs. Free backups, unmetered data transfers, and unlimited email and storage are all impressive features. Inmotion’s WordPress Hosting options are outstanding, some of the best you are going to find anywhere. The onboarding process for customers is exceptional, with information well-organized in the support center for easy discovery. A simple, streamlined, easy-to-use site builder makes it a breeze to get started. Customer service received mixed reviews, but my experience was a pleasant one. The highest level of service is only available at the Pro level, which may explain some of the mixed reviews for customer service. The website builder works well, but the themes look outmoded. You have to buy at least a year at a time. If you want the lowest price, you need to purchase two years at a time. Every hosting company will have a few drawbacks—or more. The fact that there only are a few with InMotion is fantastic. The out-of-date templates in the web designer are no big deal since you can just use WordPress (or deal with the templates). And buying a year of hosting at a time is not so bad since there is a refund guarantee if you are unhappy for whatever reason. As for advantages, InMotion has a lot going for it. It is an affordable way to host your site, there is plenty of flexibility in the plans, and the outstanding ease-of-use is a major plus. The free features are excellent, especially the backups. As for customer service, I had a positive experience, and many other users have as well. I can highly recommend this hosting company, especially to WordPress bloggers! With a perfect blend of low price and incredible innovation and technology, InMotion has been rising in the ranks of professional web hosting solutions for years. If you are looking to get the best bang for your buck with your next web development project, it would be impossible to go wrong with a service like InMotion’s web hosting plans. At the time of writing this review, they are running an awesome limited time offer (50% Off)! 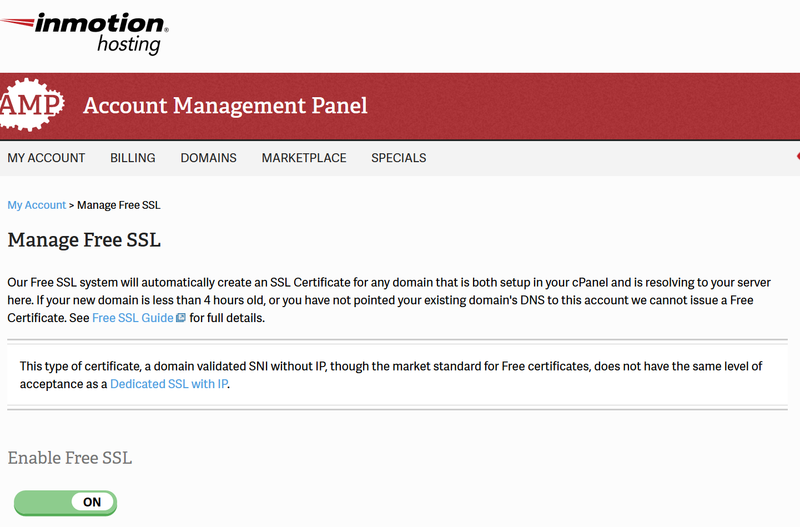 Disclosure: I am an affiliate of Inmotion Hosting, and I get a commission when you click a link and purchase hosting. That’s how I maintain this website. It doesn’t cost you anything. In fact, I can guarantee you get the best price when you are using my links. I have rated Inmotion 4.5 out of 5. Inmotion is in the top 4 of my reviewed web hosts. Although their pricing is above what I would consider acceptable, the service quality simply deserves 5 points. Looking for Inmotion alternatives? Check out Bluehost.